Happy Friday! I’ve been a little quiet here and on social media this week because, well, everything else in my life has been crazy! Work is crazy, personal life is crazy, I’m attempting to start training for a half marathon, and we are packing up and heading to Edinburgh on Tuesday. Being so busy is amazing, but it hasn’t left much time for reading or talking about books. I only managed to finish one book this week, and that was last Friday night. This is how you can tell I’ve been so busy! The Belles wasn’t the five-star read I had expected for a few reasons I don’t want to go into yet (spoilers!). That being said, I did really enjoy it! I’ll be participating in the blog tour for this book, so keep an eye on this space for my review. I’m in one of those moods where I can’t decide what I want to read! I picked up four (!!) books! Let’s run through them really quickly. The Toymakers is an upcoming release filled with Christmassy joy. It’s good so far, but I’m not really in the mood to read a Christmas book right now (my own fault — I’ve had this for months). I’m powering through it though, and it’s certainly magical!. Next up is The Diviners by Libba Bray. I’ve been wanting to read this for years and ever since I bought it, it has been taunting me from the shelf. I caved in last night and picked it up. I’m only a few pages in, but I can tell this is a book I’m going to love. Children of Time is my current audiobook and it’s pretty incredible. This one has been sitting on my bookshelf for years and I’ve never gotten around to reading it, despite really wanting to. The audiobook is the perfect solution. I’m about 5 hours in. Last of all, Astrophysics is still going slowly. Still loving it. Expect to see this book here a few more times before I finish. I picked these two books up at WHSmith because they were in the ‘buy one get one half price’ deal. I couldn’t justify buying Women in Power for full price because it’s a tiny book, but this made it worthwhile. I also grabbed Mindhunter, which I just finished watching on Netflix a couple of weeks back. I wasn’t a huge fan of the show because they went too far into the characters’ personal lives rather than the actual serial killer goodness, however I feel like the book will not have this problem. It will be my second true crime book ever! Lauren Nickodemus and Ellen Desmond started Monstrous Regiment, an independent publisher up in Edinburgh, and The Bi-ble is their very first book! I backed their Kickstarter campaign in 2017 and have received my copy of the book. I have had the pleasure of meeting these two ladies — we did the same masters course a year apart — and I can’t wait to dive into these stories! The Waking Land is the first book in a new trilogy by Callie Bates. I was intrigued by the plot and am looking forward to picking this up in February! In other bookish news, I’m going to Alwyn Hamilton’s Hero at the Fall launch event tonight! I missed out on tickets for the original launch date, which was yesterday, but was so happy to hear that a second day was added. If you’re going to this, definitely let me know! Otherwise, I’ll be shuffling around and packing for our trip to Edinburgh (!!!) on Wednesday! We’re looking at wedding venues in Scottish Fiance’s native home. Edinburgh is the best city on the planet (fight me) and I can’t wait to go back. Of course, this means I need to curate a selection of books for the trip — we’ll be gone for a week! Is ANYONE going to play with me? How was your reading week? Did you read anything you loved? 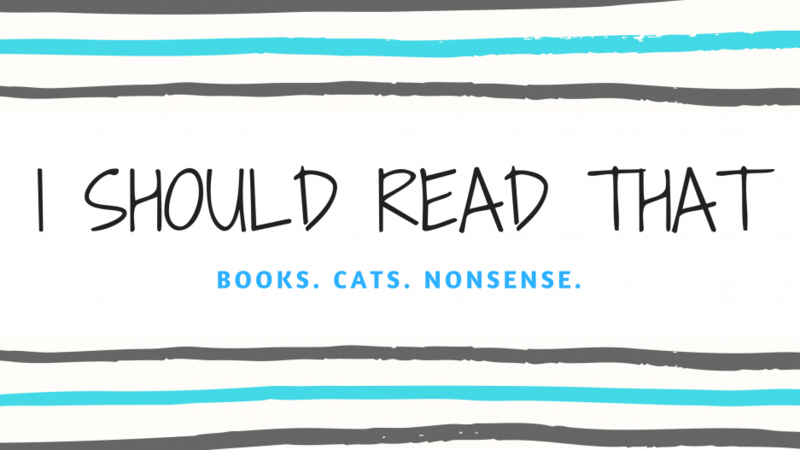 Are any of these books in your TBR? Let me know! LOL your kitties face is what face my dog has every day lol. Can’t wait for your review of The Belles; I’ve been getting more interested in it recently. Pets really know how to torture us, don’t they?